It was a 20 degree, freezing-cold December day the first time I laid eyes on Finger Lakes Distilling. The beautiful, long-neck, 300-gallon copper still gleamed through the tall windows of the distillery and the glint of Seneca Lake just across the street shone in its copper exterior. I was there on assignment for another story topic entirely, but I kind of forgot all about that and did what any sane person would do in the dead of a Finger Lakes winter with such a beacon of glory in sight: I pulled in the parking lot, went inside, and tasted through what turned out to be a really great line of spirits. It’s a long trek – a good 4 hours or so – up to Seneca Lake; a drive that’s well-worth your time, as is stopping into the rustic-sleek tasting room at FLX Distilling. Although you don’t really have to do that because the non-brothers McKenzie (Brian and Thomas Earl – they share a name and a passion for artisanal hooch, but no blood runs between them; the name is purely coincidence) have made the kind of well-crafted spirits that have made their way down to New York City as easily as snow-melt runs off a mountain. There are myriad offerings from that constantly running still, from which Alabama-born Thomas Earl handles all the distilling with a deft hand and palate. A duo of bright, citrusy, herby gins, elegant vodkas with local Catawba grapes distilled into the base spirit, grappa, eau du vie, and liqueurs with the scent of fresh, Finger Lakes-grown fruit (they are officially a New York farm distillery, so using home-grown product is part of the deal). But the thing that bonded the two men when in 2007 they met at an American distilling conference in Louisville, KY, was whiskey. Brian wanted to quit his white-collar job at an economic consulting firm in D.C. and move back home to the Finger Lakes, where he knew the surrounding farms could indeed supply endless excellent ingredients for New York-centric spirits (95% of what they use is locally sourced), and Thomas Earl, who grew up in a family who knew their way around a still, wanted to use his knowledge to take the helm of his own small-batch distillery. Their whiskies are indeed very well-made – a rich and robust sherry-cask aged rye; a soft and buttery bourbon, a supple Irish-style pot still whiskey, a creamy corn whiskey. And while the trend of releasing white whiskies (whiskey that has not been barrel-aged and, thus, is clear in color and maintains no influence of flavor or aroma from the wood that would be part and parcel to bourbon, rye, Scotch, or other brown liquid beauty) has certainly been a growing one, the sincerity of craft in the McKenzie’s White Pike Whiskey makes it go down awfully easy. The mash bill of this young whiskey (its aging is all of 18 minutes) combines local corn, spelt, and malted wheat, and it’s meant to be a receptacle of a spirit – for whiskey lovers who don’t dig vodka, it’s the equivalent of a base-spirit blank canvas. It’s soft, fruity, and creamy in your mouth, with just a little bit of sweetness that lingers subtly on your tongue from the corn. It makes a beauteous Bloody Mary, a clean, gently sweet stand-up sipper for a pickleback, or, if you’re so inclined, a mellow twist for an Allegheny. 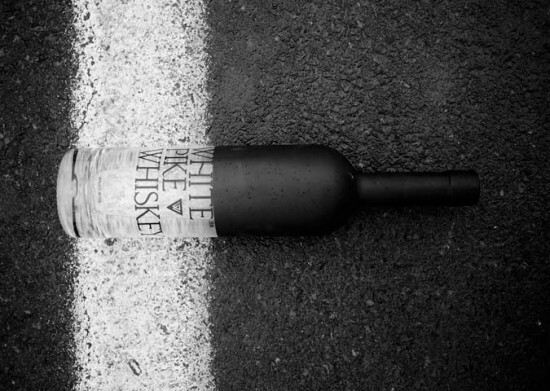 You don’t have to travel to the Finger Lakes to Try White Pike Whiskey. Taste it yourself at Good Spirits, our annual cocktail and food pairing party next month. More info and tickets here.